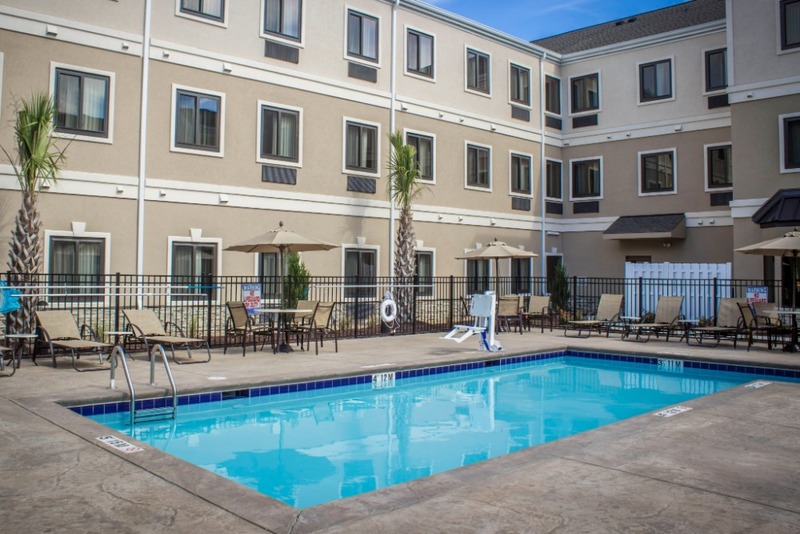 Centrally located just five miles from Wrightsville Beach and Historic Downtown Wilmington, and two miles from the campus of UNCW, this hotel puts you in the heart of the Wilmington area. 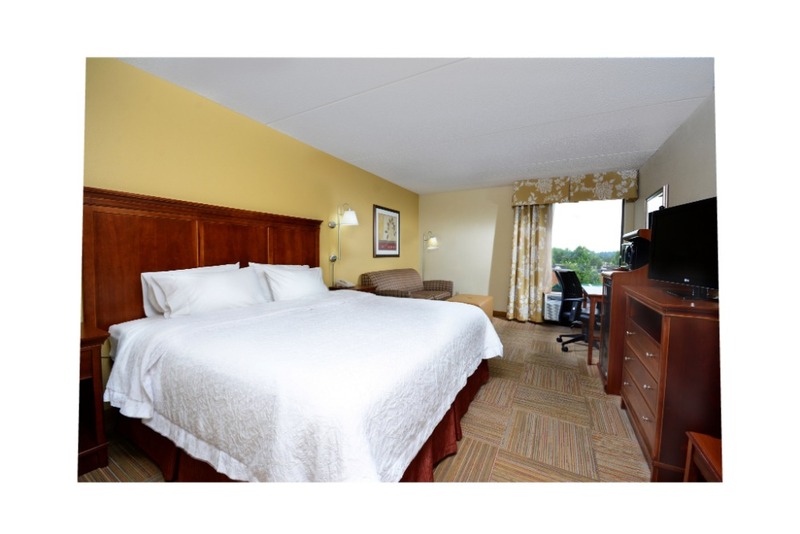 Located in Archdale, NC this hotel allows for easy access to I-85, Business 85, and Highway 311. 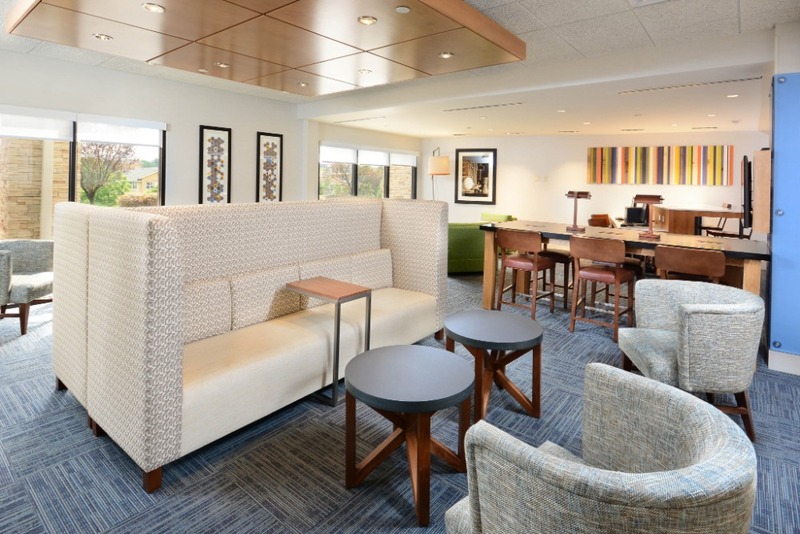 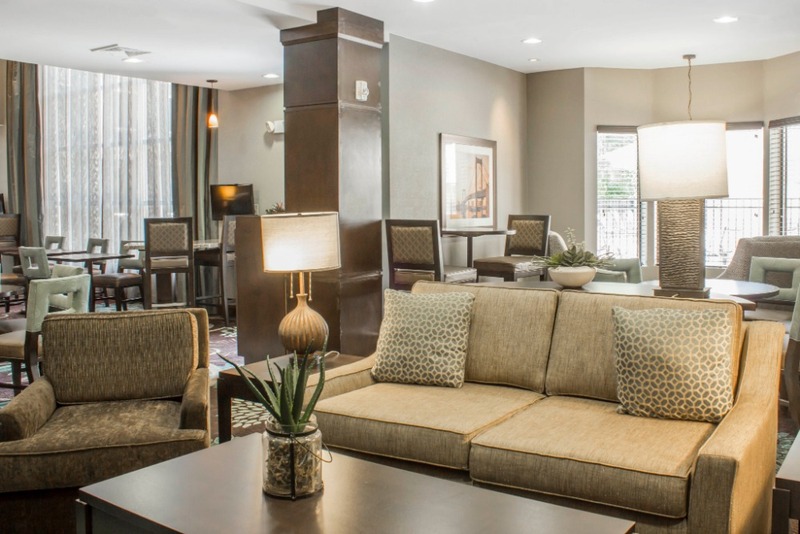 Guests will enjoy updated rooms and close proximity to furniture shopping outlets in High Point such as Furnitureland South and the High Point Market. 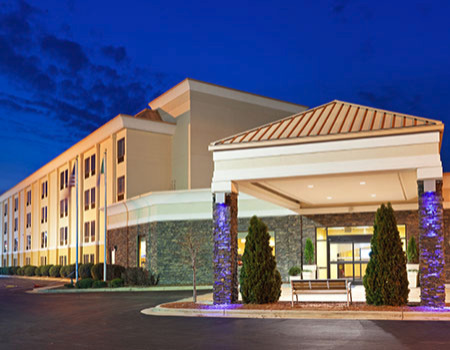 The Piedmont Triad International Airport GSO is just a 30-minute car ride away. 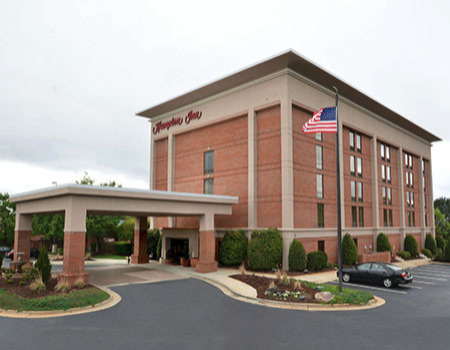 Located just minutes from the shores of Lake Norman and the campus of Davidson College, our hotel offers guests easy access to I-77 and all the attractions that the Lake Norman region has to offer. 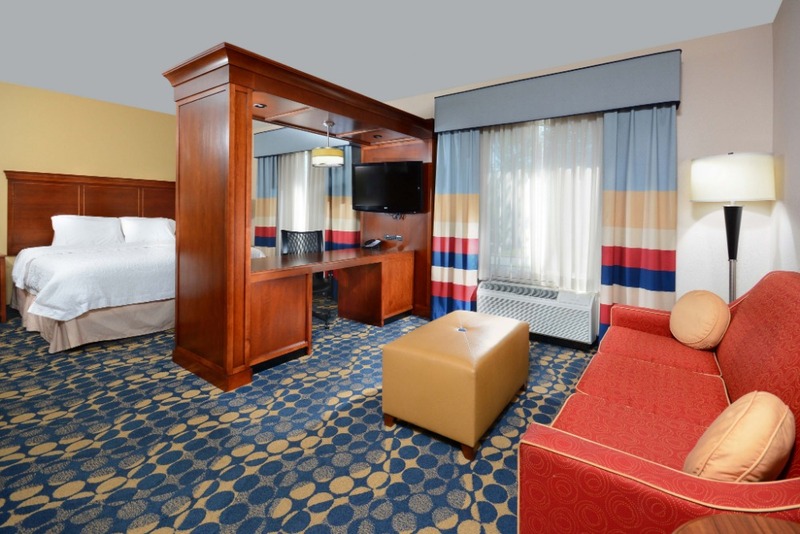 Enjoy beautiful rooms (renovated in 2017) with ample outlets and in-room amenities. 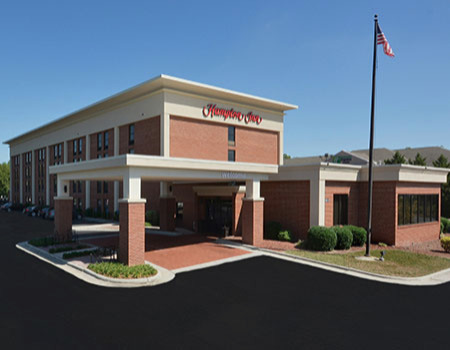 Located at the juncture of I-85 and US 501, this modern hotel puts you just minutes from Downtown Durham, Duke Medical Center, and area businesses. 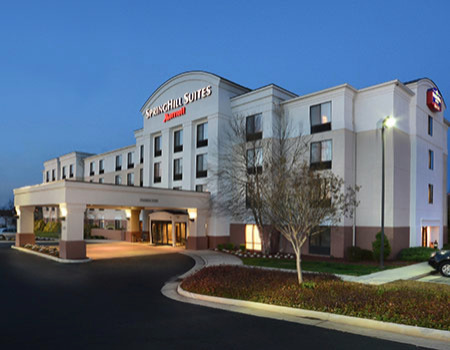 The hotel features a free medical shuttle to Duke medical facilities. 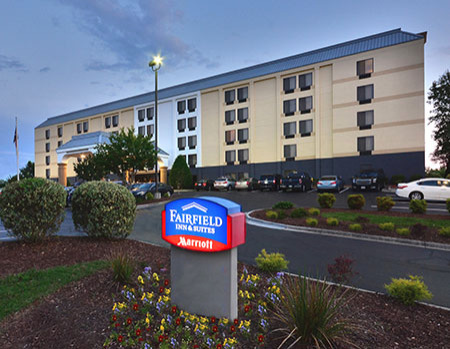 Located just minutes from Fort Bragg, our Fayetteville, NC hotel offers guests easy access to the 295 Bypass, Pope Air Force Base, and Fayetteville attractions. 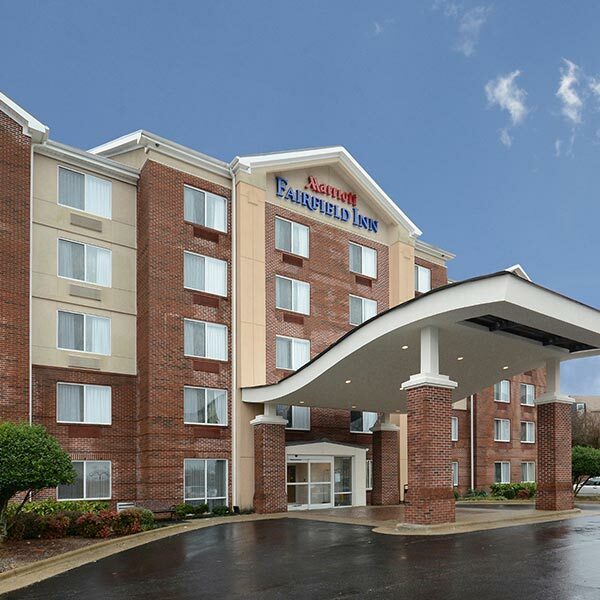 Just 10 miles from the Piedmont Triad International Airport GSO in Greensboro, this upscale, full-service hotel offers guests a central location along I-40 from which to explore Greensboro. 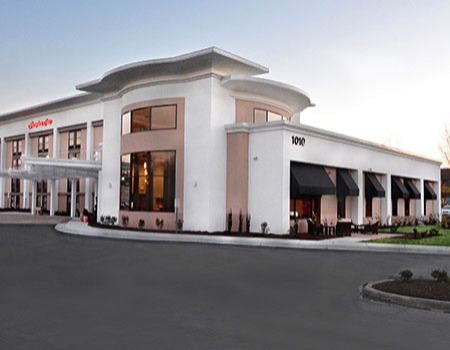 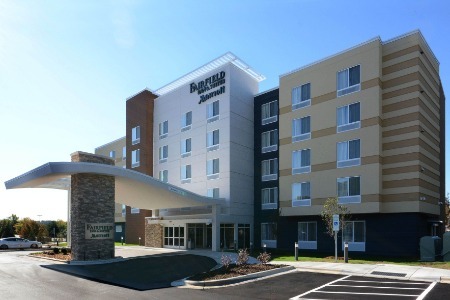 Just minutes from the Piedmont Triad International Airport GSO-in Greensboro, this upscale, full-service hotel was built in 2016 and offers guests a central location from which to explore and do business in High Point, Greensboro, and Winston-Salem. 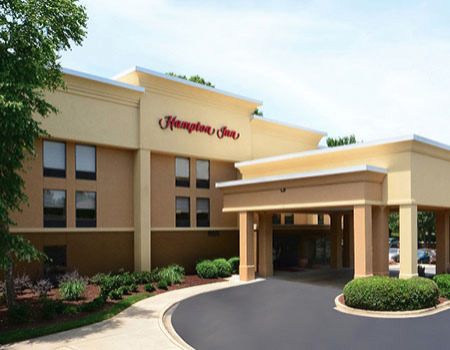 Located along I-77 just minutes from Lake Norman, this six-time Hampton Lighthouse Award Winning hotel put you close to area businesses, Charlotte Raceway, and the ZMAX Dragway. 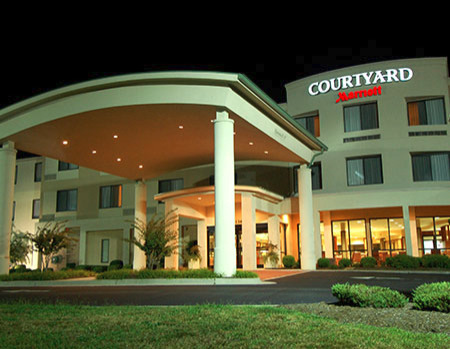 Located in Morrisville, NC just off I-40 and minutes from the Raleigh-Durham International Airport (RDU). 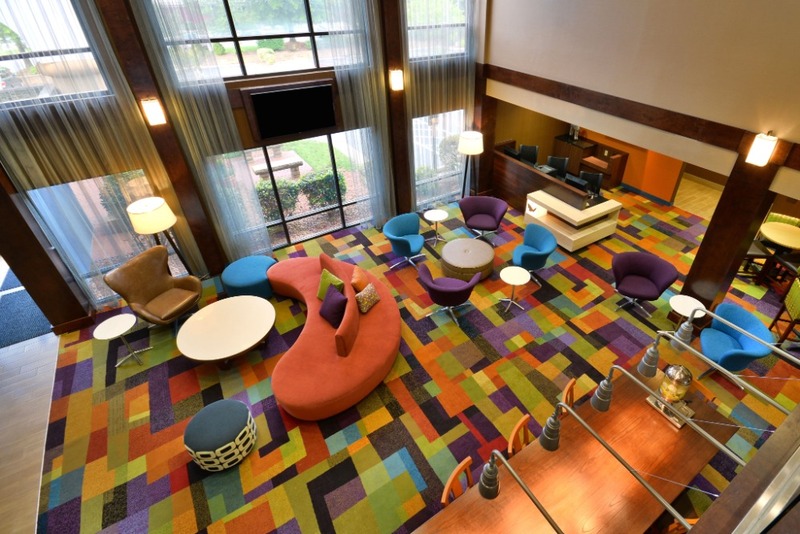 Guests enjoy easy access to Research Triangle Park businesses as well as numerous attractions in the Raleigh-Durham area. 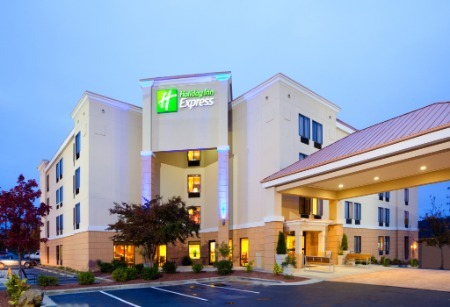 Located 18 miles from the Raleigh-Durham International Airport, this Northeast Raleigh hotel puts guests near Advanced Auto Parts, Eaton, S&ME, Schneider Electric, and Falls Lake. 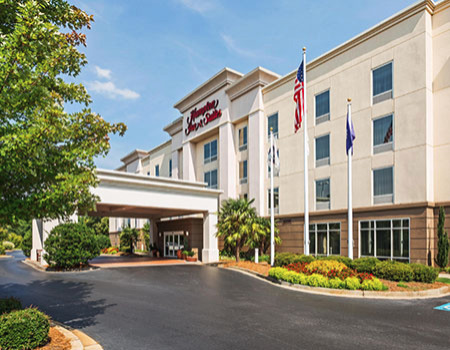 Just 18 miles from the Raleigh-Durham International Airport, and across from Triangle Town Center Mall, this upscale, full-service hotel offers guests easy access to I-540 and US 1. 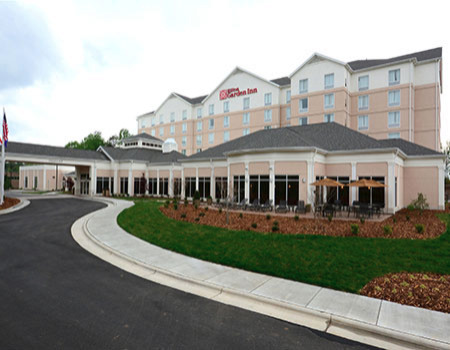 Located in the heart of Roxboro along US 501, this hotel puts guests within a few miles of area businesses, 20 miles from the Virginia International Raceway, and 30 miles from Durham, NC. 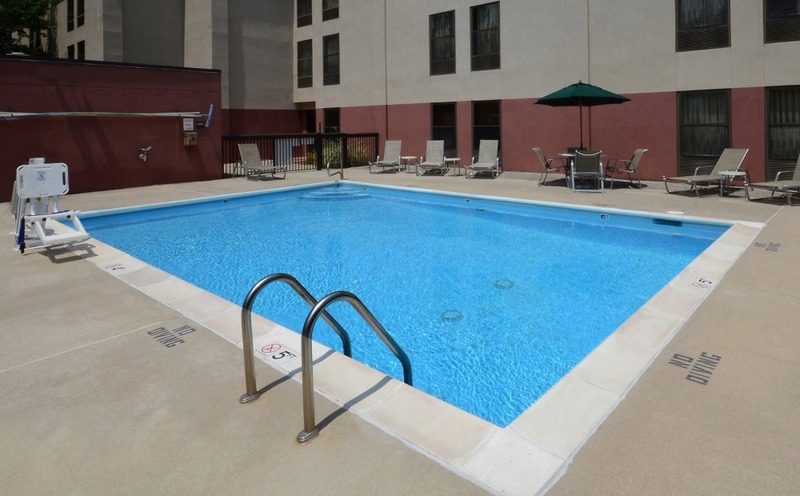 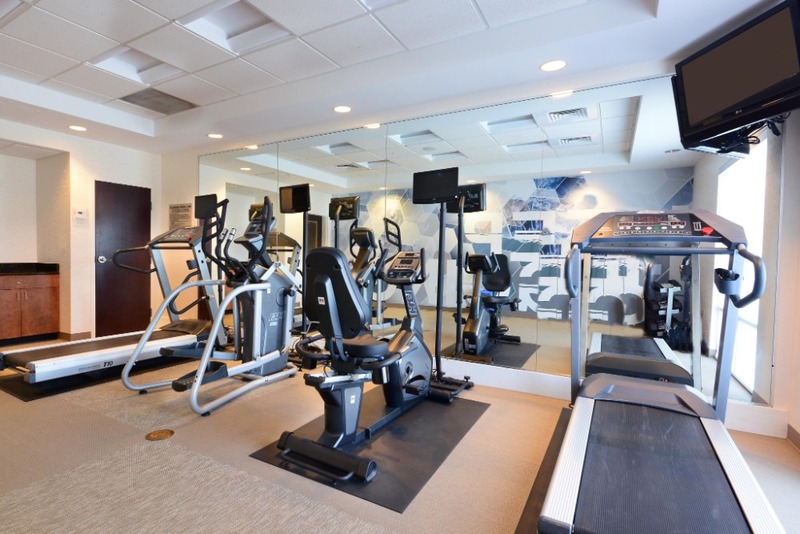 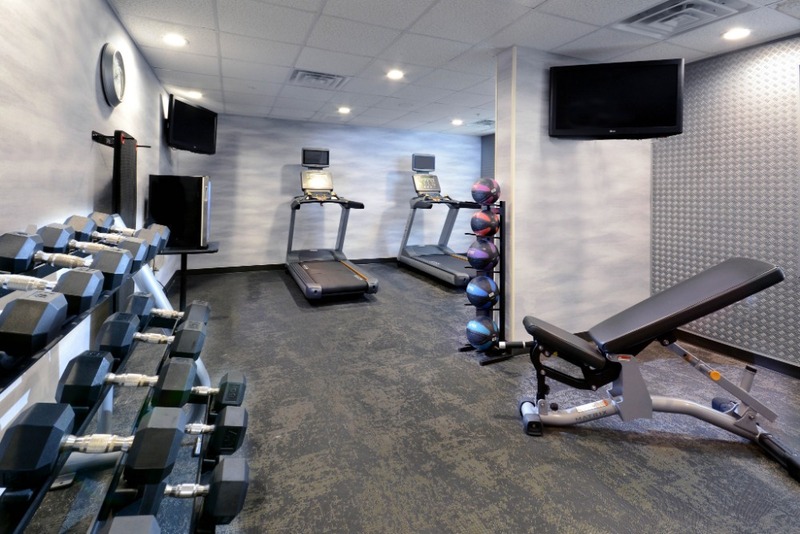 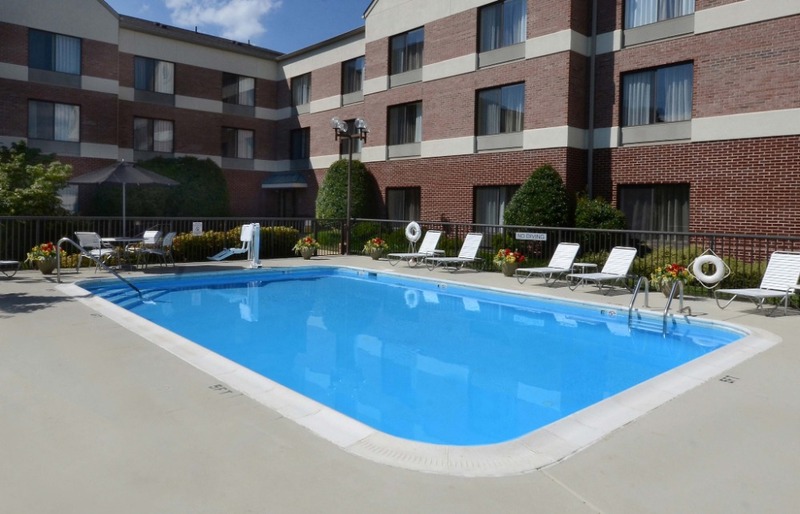 Enjoy great amenities such as free breakfast, fitness center, outdoor pool, business center, and board room. 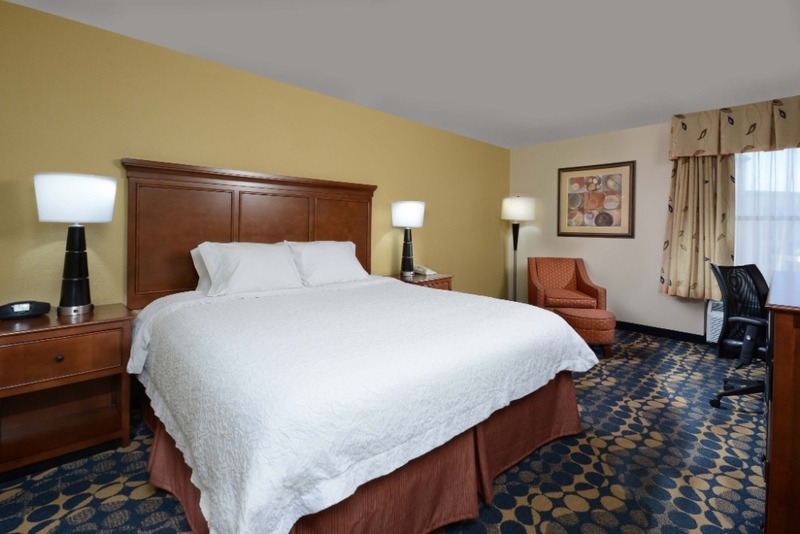 Located 2 Miles from the Southeastern Baptist Theological Seminary and Downtown Wake Forest, this hotel is nestled in a quiet location near Louisburg College, WRAL Soccer Complex, and The Polar Ice House. 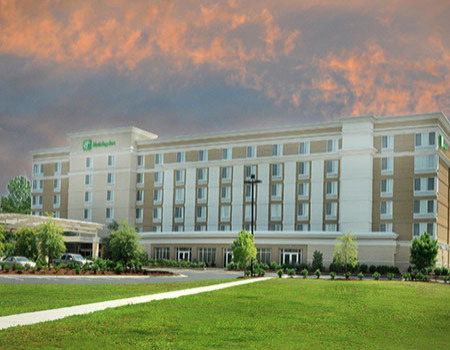 Nestled off I-26 at Clinton Park Corporate Center, this welcoming hotel places guests at the juncture of I-26, I-385, and Hwy 72; and is just minutes from Presbyterian College. 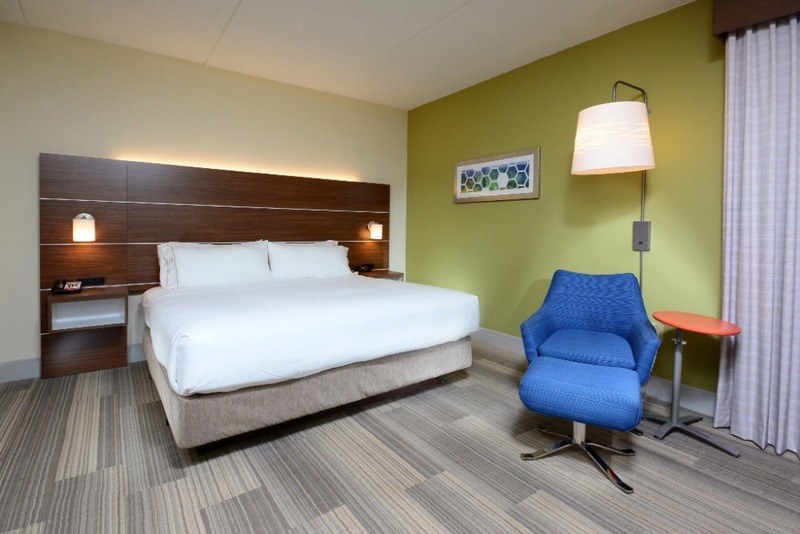 Guests will enjoy updated rooms with plenty of outlets and amenities for the modern traveler. 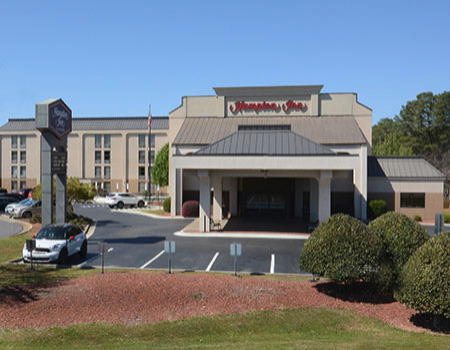 Located just off I-85 at the entrance to Spartangreen Business Park, this welcoming hotel puts you just minutes from BMW Manufacturing, Michelin, and Tyger River Sports Park. 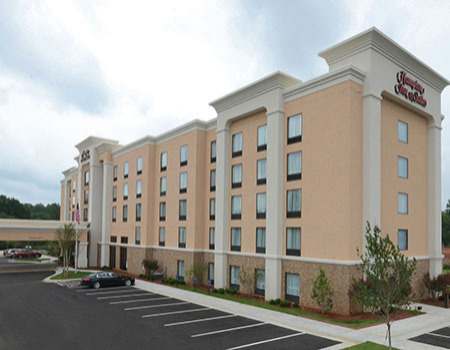 Located just off I-85 at the entrance to Spartangreen Business Park, this extended-stay hotel, opened in 2019, puts you just minutes from BMW Manufacturing, Michelin, and Tyger River Sports Park. 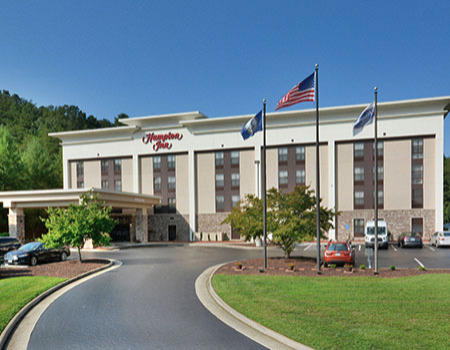 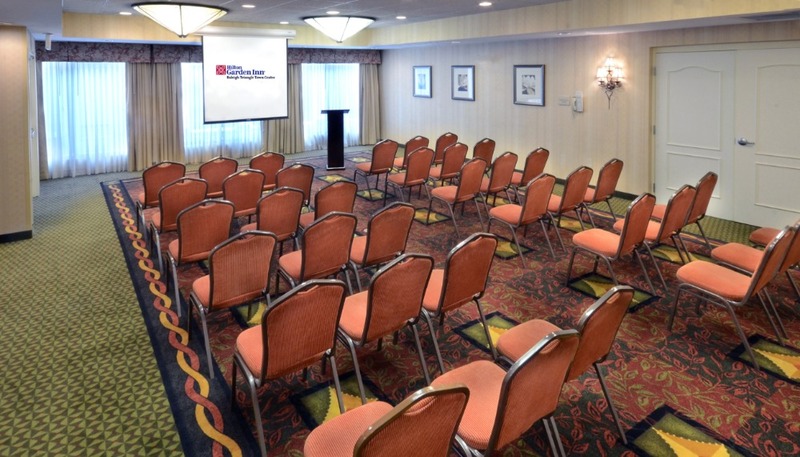 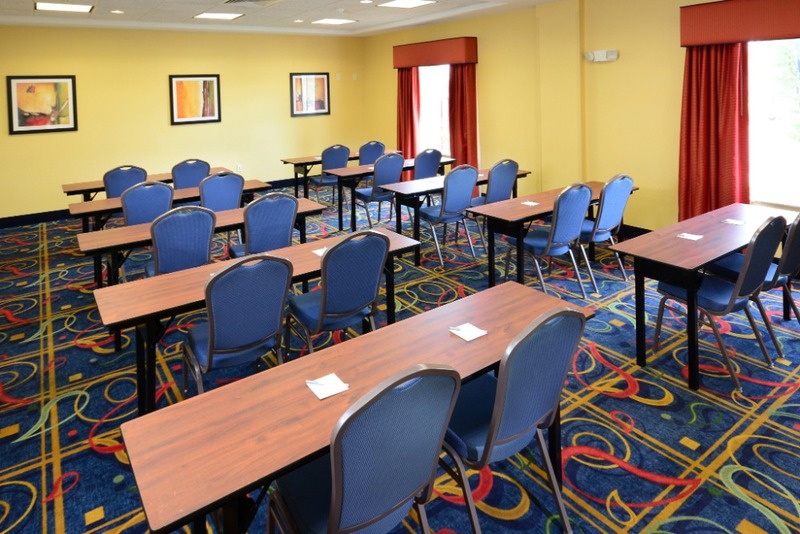 Located across from the Lynchburg Regional Airport, this hotel's unique location allows you to use Liberty Mountain Rd to access the campus of Liberty University. 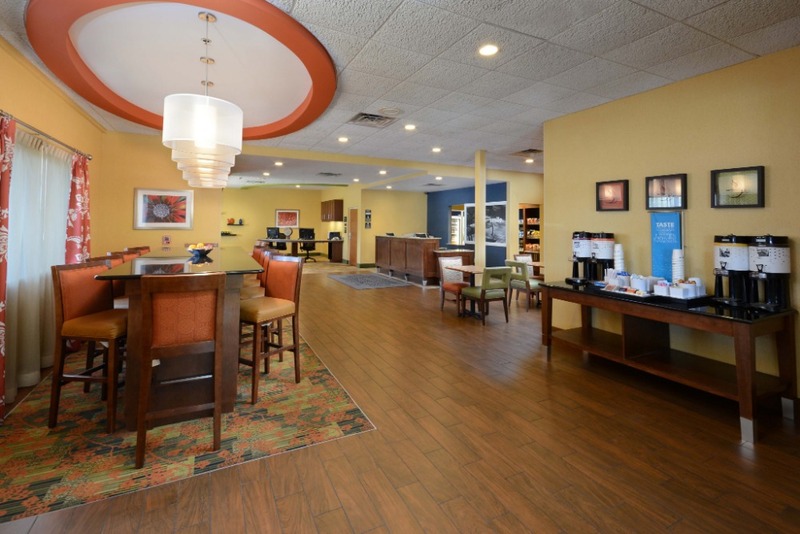 Centrally located to the areas of Stuart, Axton, and Bassett. 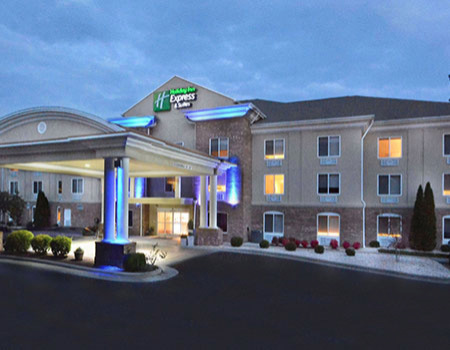 Just 6 miles from the Martinsville Speedway, guests will enjoy a welcoming hotel with modern, renovated rooms (2017). 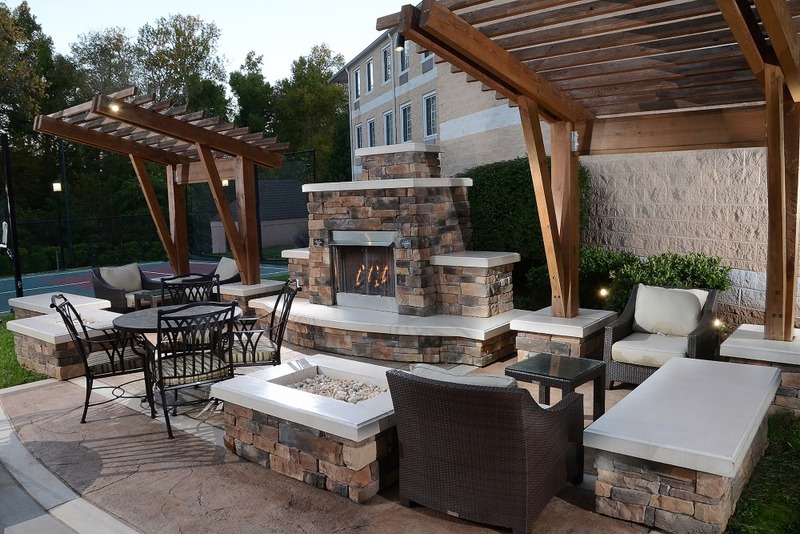 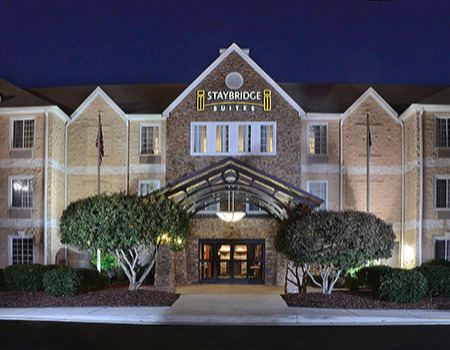 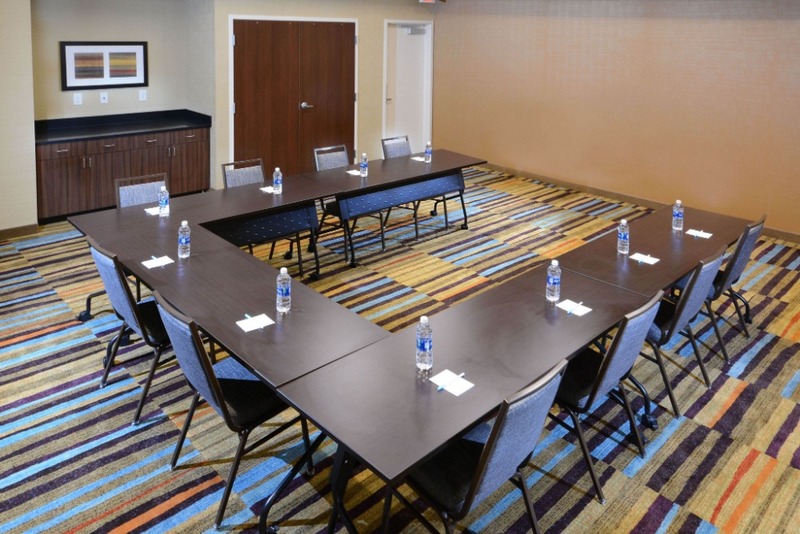 Located just off I-40, this Durham hotel lies in the heart of the Research Triangle Park. 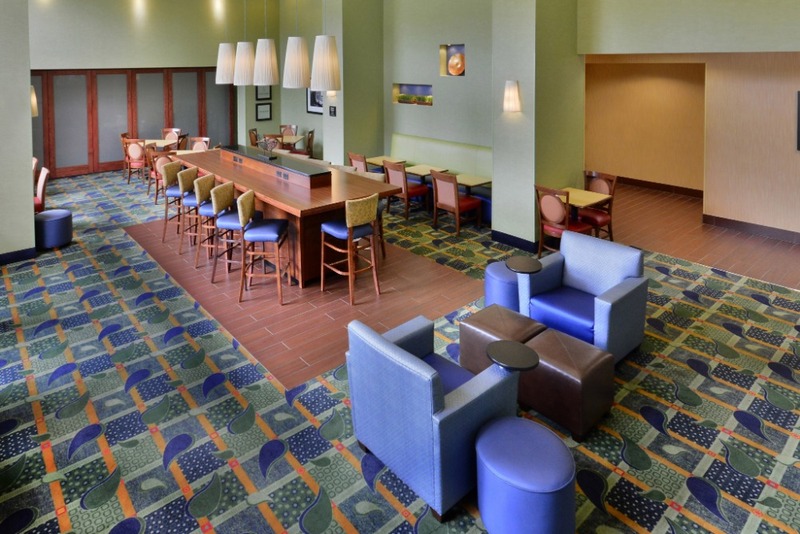 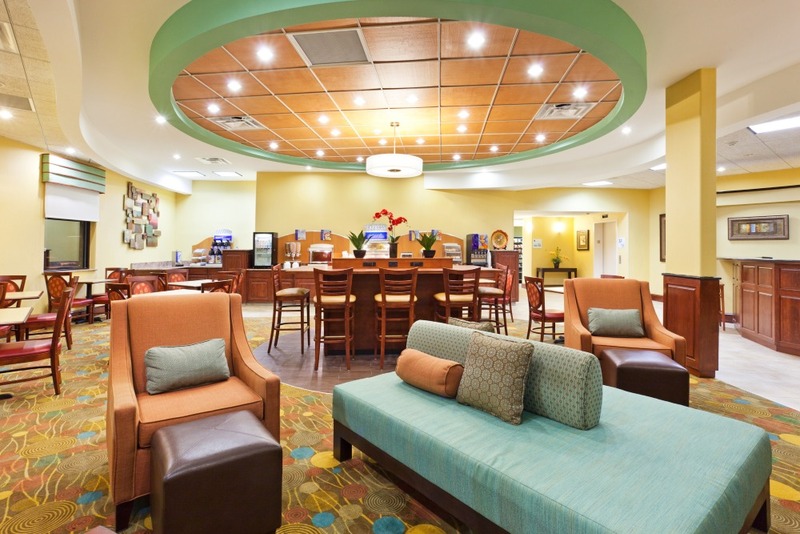 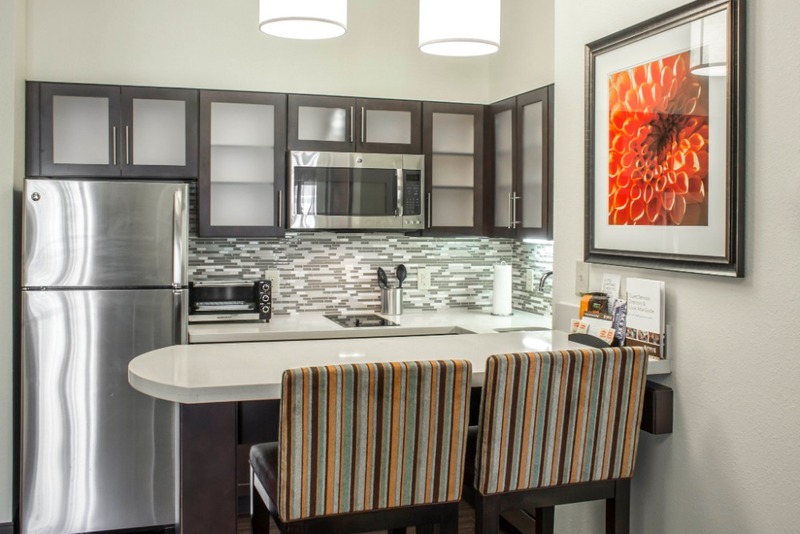 Guest enjoy easy access to the Raleigh-Durham International Airport (RDU), RTP businesses, and area attractions. 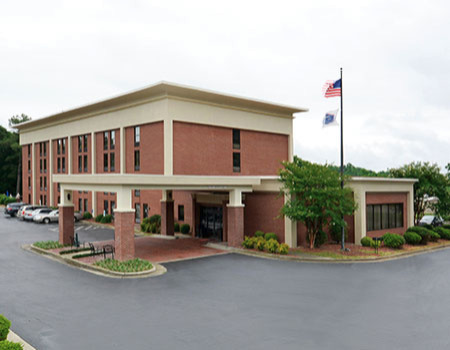 Located along I-85 this hotel puts you just minutes from Downtown Durham, Duke Medical Center, and area businesses. 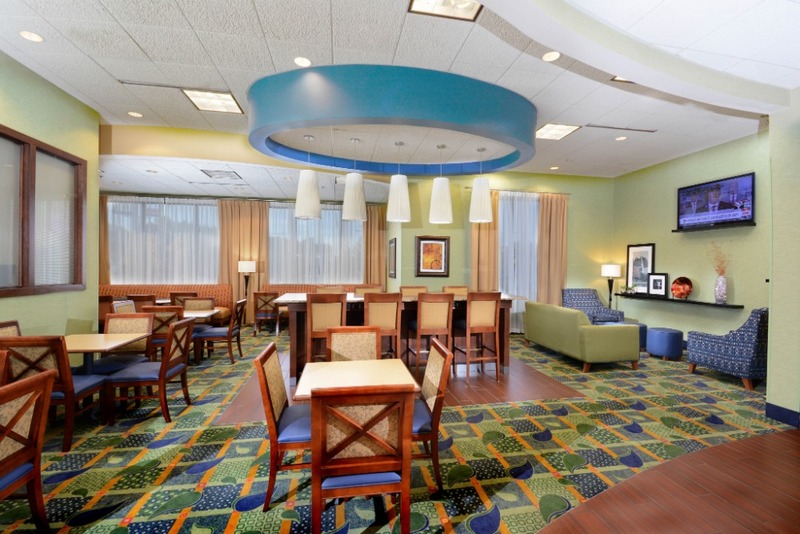 The hotel features a free medical shuttle to Duke and surrounding medical facilities. 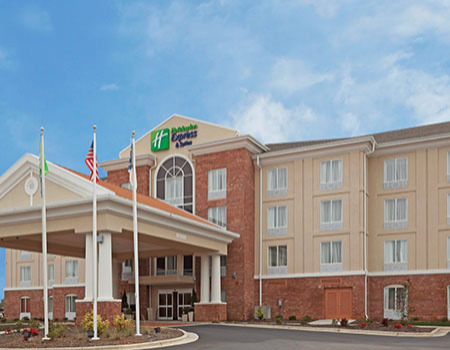 Just minutes from the Piedmont Triad International Airport GSO in Greensboro, this hotel offers guests a central location from which to explore and do business in High Point, Greensboro, and Winston-Salem. 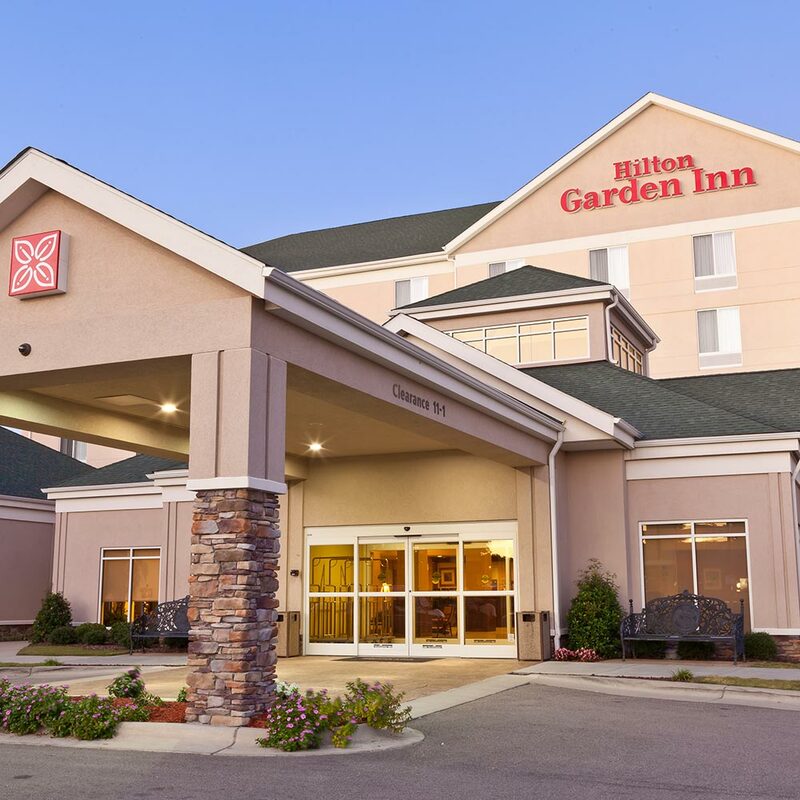 Just 10 miles from the Piedmont Triad International Airport GSO in Greensboro, this hotel offers guests a central location along I-40 from which to explore Greensboro. 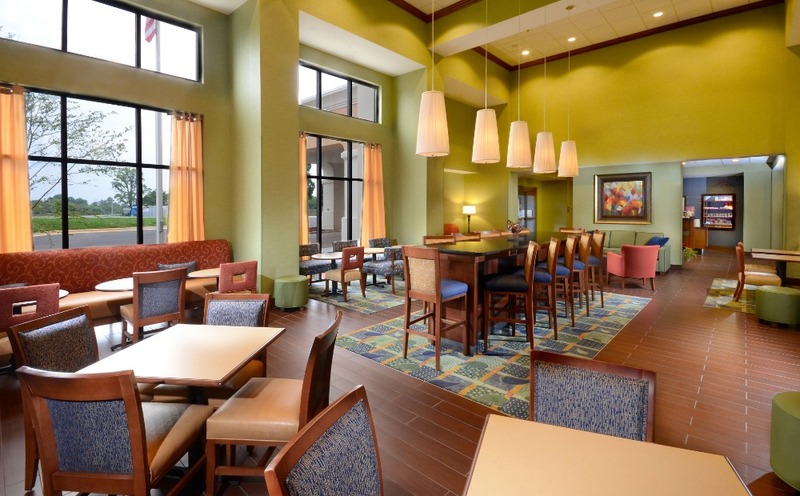 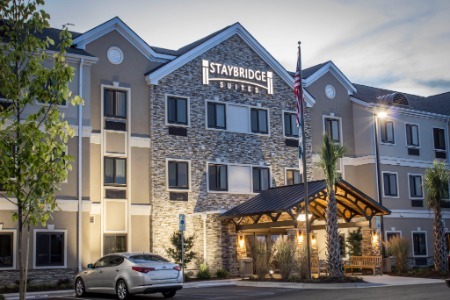 Award-winning, extended-stay hotel located in Jacksonville, NC near Camp Lejeune, Marine Corps Air Station New River, Camp Geiger, and Camp Johnson. 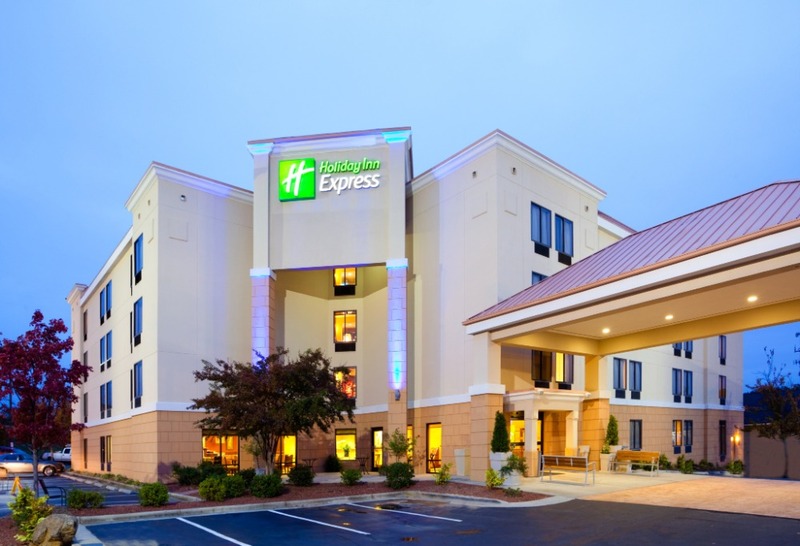 Full-service hotel located in Morrisville, NC just off I-40 and minutes from the Raleigh-Durham International Airport (RDU). 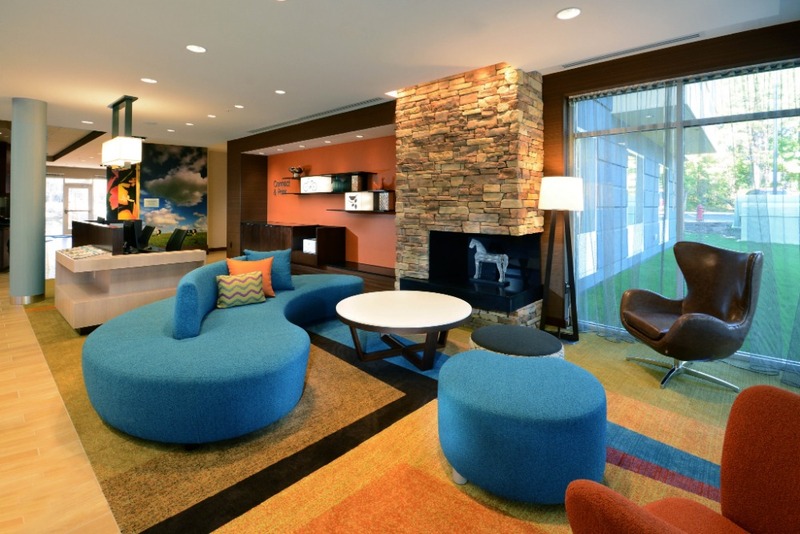 Guests enjoy easy access to Research Triangle Park businesses as well as numerous attractions in the Raleigh-Durham area. 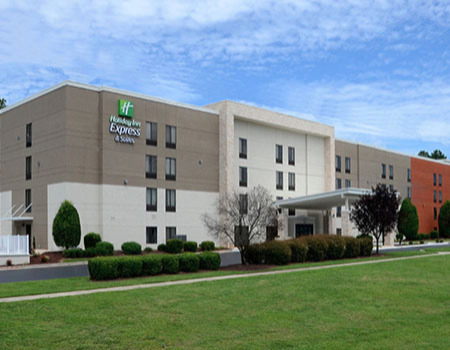 Extended Stay hotel located in Morrisville, NC just off I-40 and minutes from the Raleigh-Durham International Airport (RDU). 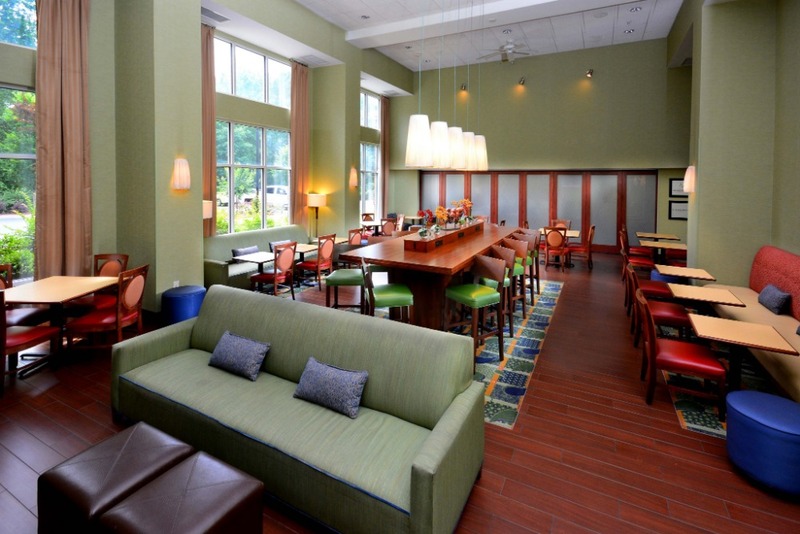 Guests enjoy easy access to Research Triangle Park businesses as well as numerous attractions in the Raleigh-Durham area. 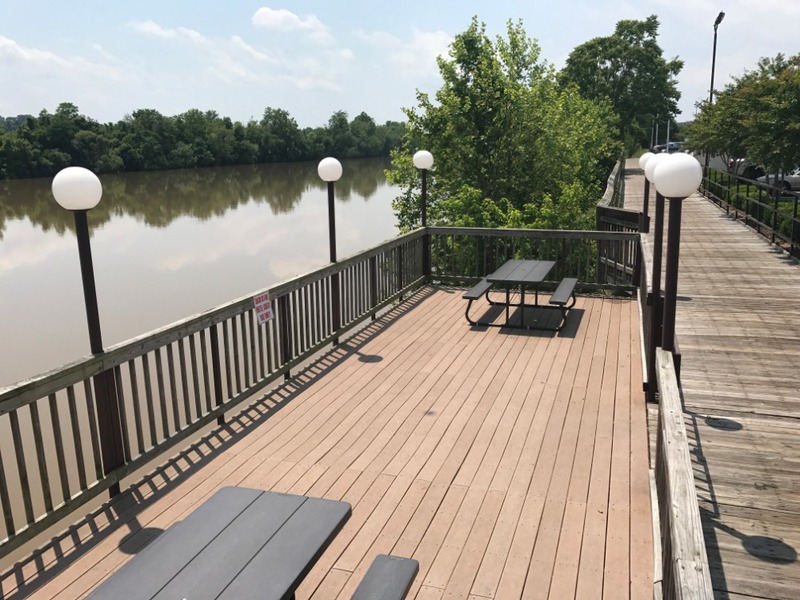 Situated along the Dan River, this hotel features King Rooms overlooking the river and walking trail. 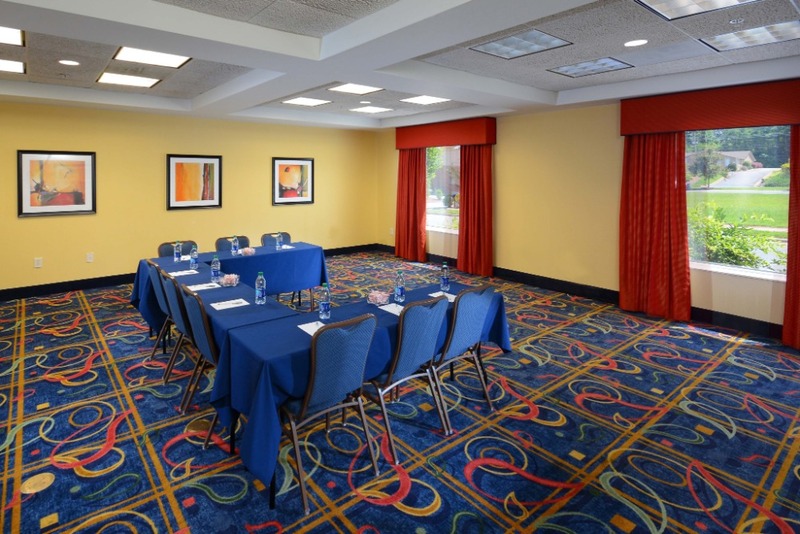 Stay close to area businesses, Averett University, and the historic downtown River District. 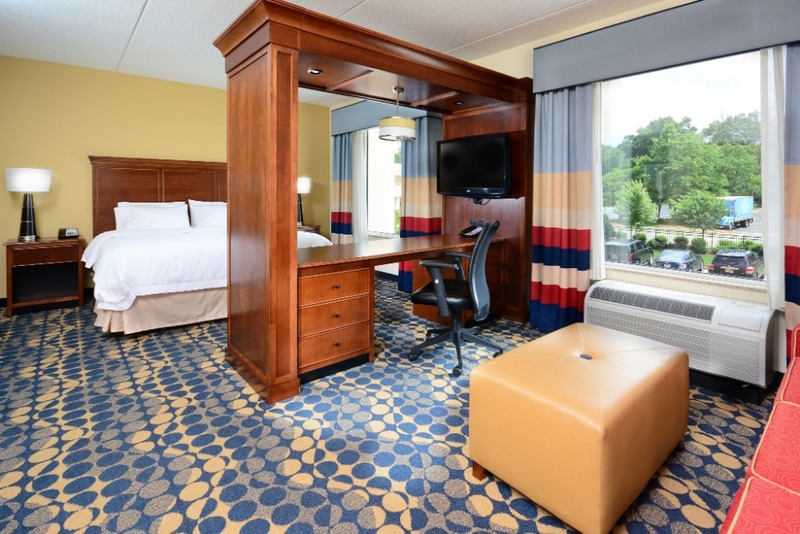 Located just minutes from the campus of Liberty University, this hotel's central location provides easy access to US 460 and US 501. 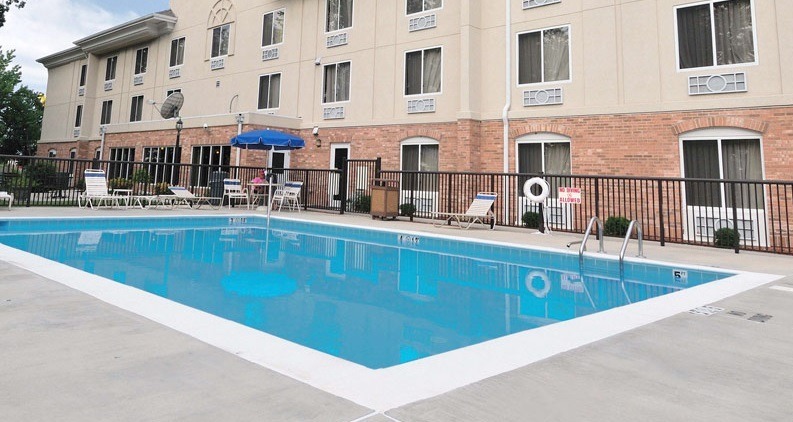 Businesses such as Areva and Frito-Lay are nearby, and leisure travelers will appreciate our proximity to Thomas Jefferson's Poplar Forest less than 7 miles away. 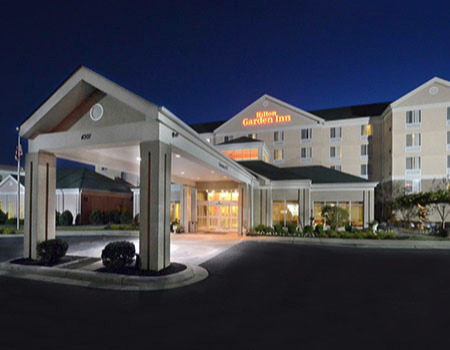 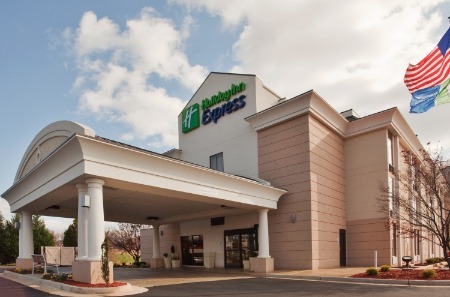 Located just off I-64 beside Deep Run Office Park, this hotel is just one exit from the Short Pump Town Center area. 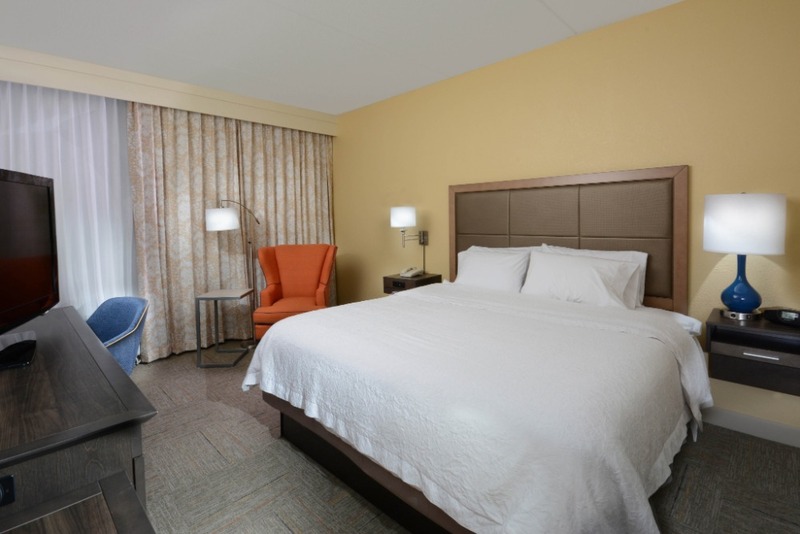 Guests have easy access to area businesses, shopping, and dining while benefiting from a quieter location within which to sleep. 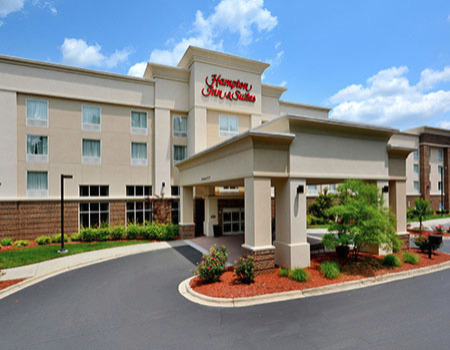 Located in the heart of Roxboro along US 501, this hotel puts guests close to area businesses, 20 miles from the Virginia International Raceway, and 30 miles from Durham, NC. 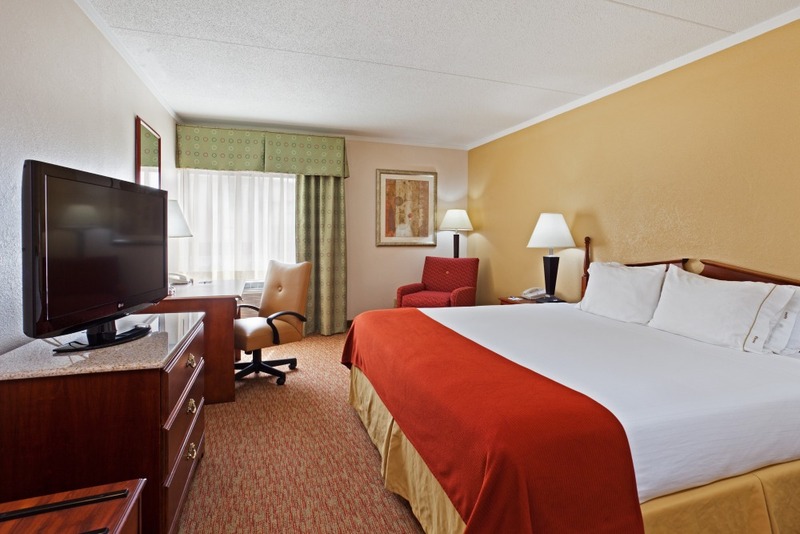 This hotel is the ideal choice for the budget-minded traveler looking for a clean and comfortable place to stay. 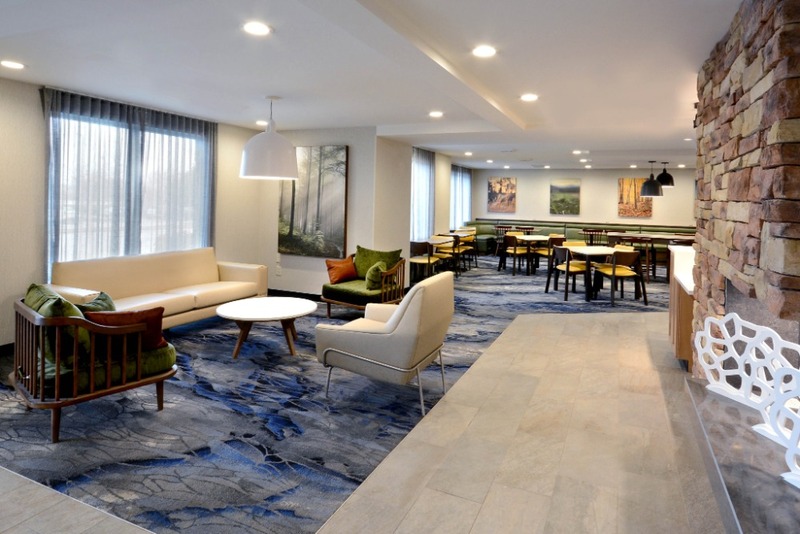 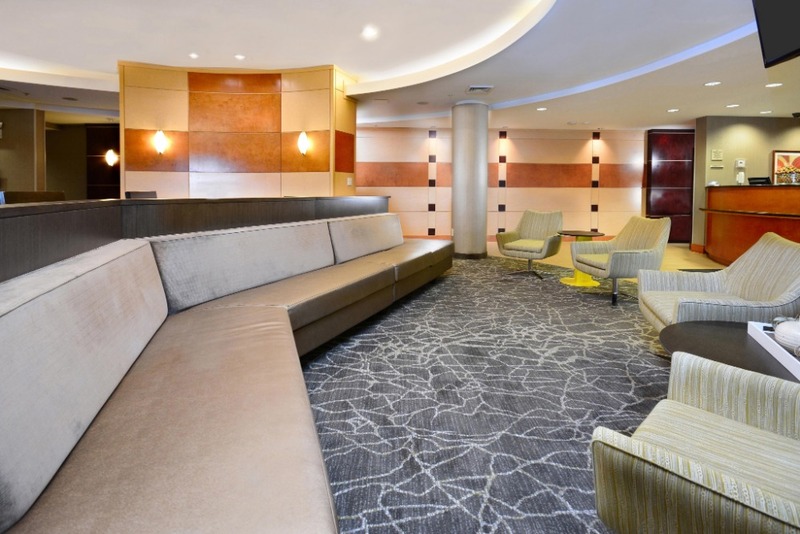 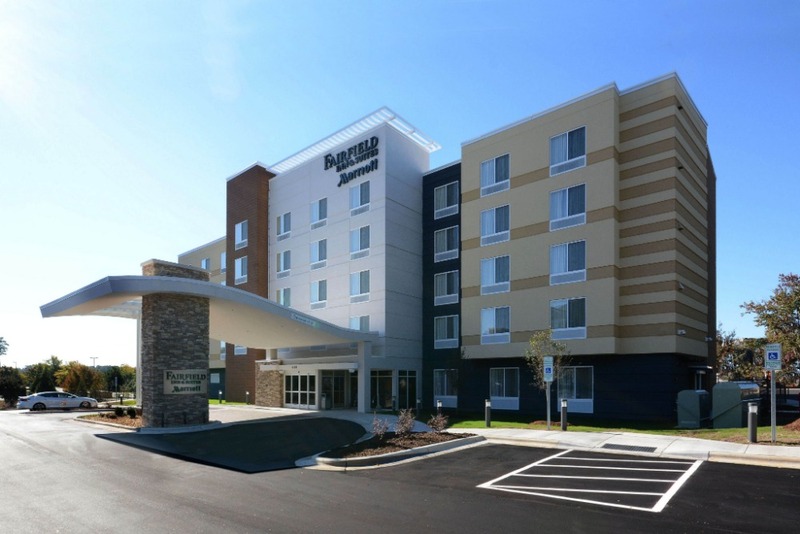 Just minutes from the Piedmont Triad International Airport GSO in Greensboro, this modern hotel was renovated in 2018 and offers guests a central location from which to explore and do business in High Point, Greensboro, and Winston-Salem. 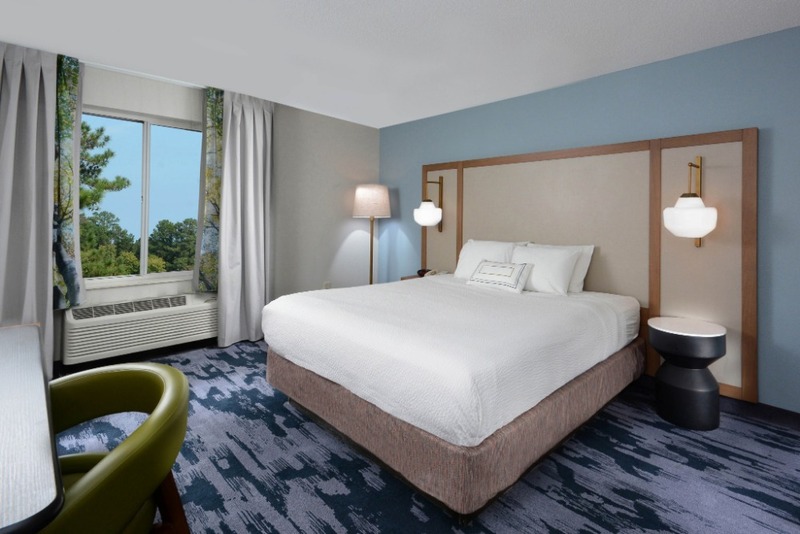 Just 18 miles from the Raleigh-Durham International Airport, this modern hotel opened in 2017 and offers guests easy access to I-540 and US 1. 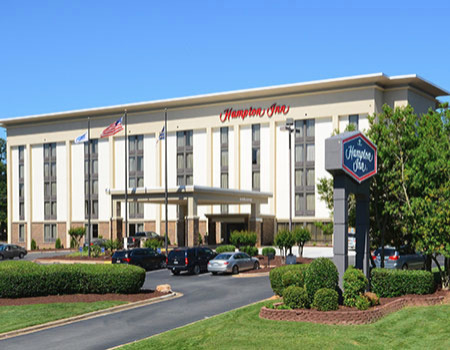 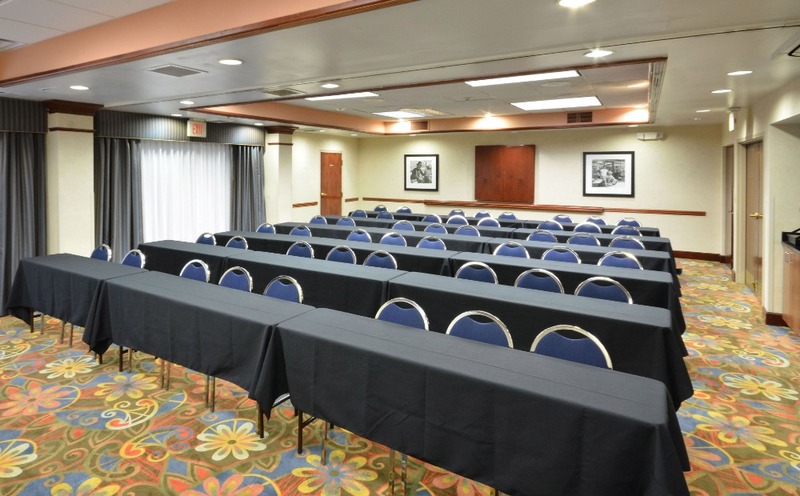 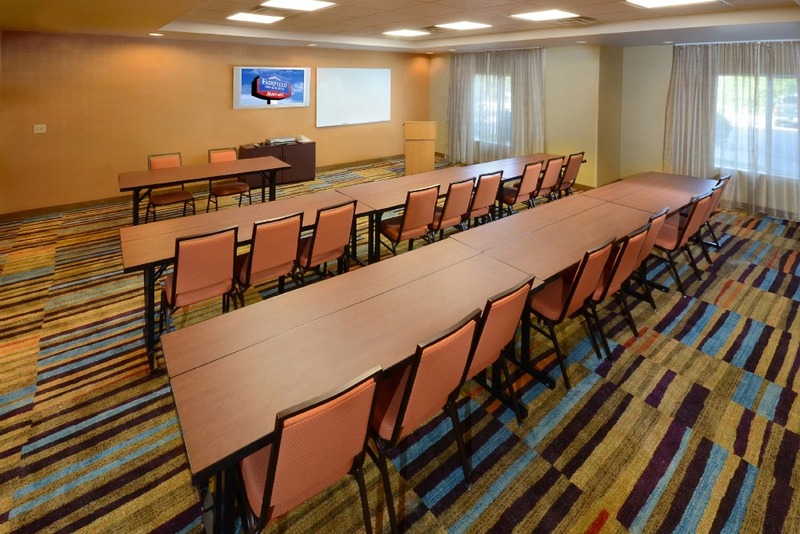 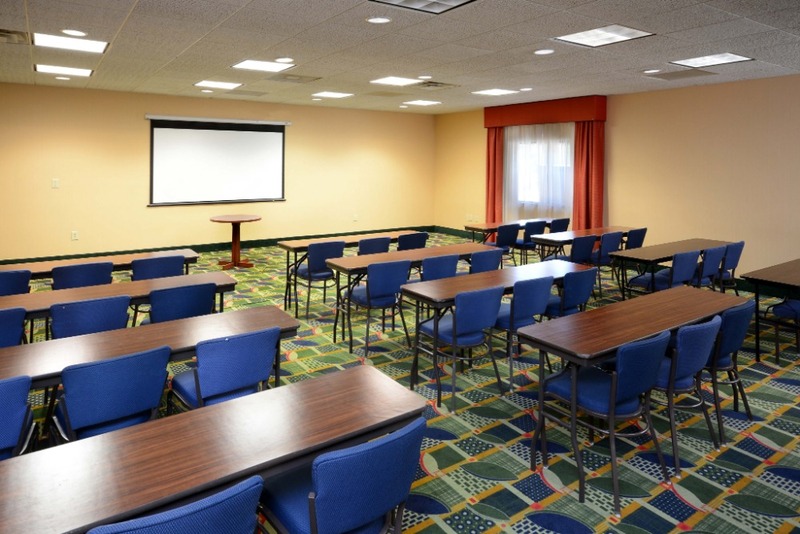 Located just off I-40, and 30 minutes from GSO Airport, this hotel's excellent location across from Hanes Mall gives guests easy access to the interstate, restaurants, and area businesses. 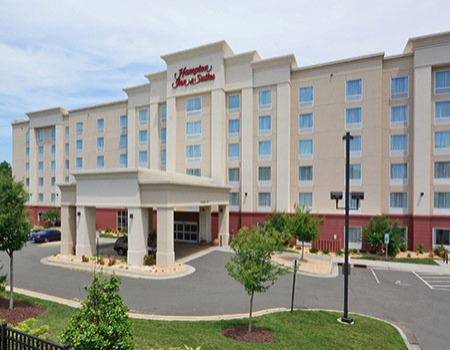 Tucked into a quiet location off I-29, this hotel allows for a short drive to UVA, the Charlottesville Albemarle Airport CHO), as well as local attractions such as Thomas Jefferson's Monticello. 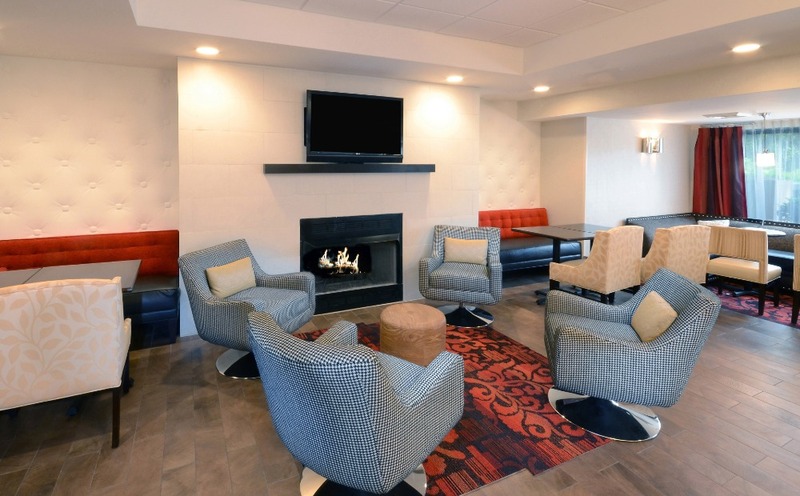 Renovated in 2018, Danville's only full-service hotel is located within minutes of area business parks, Averett University, and the historic River District of Downtown Danville. 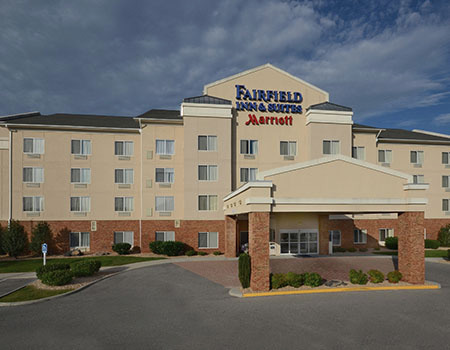 Located across from the Lynchburg Regional Airport, this hotel's unique location allows you to use Liberty Mountain Rd to access the campus of Liberty University. 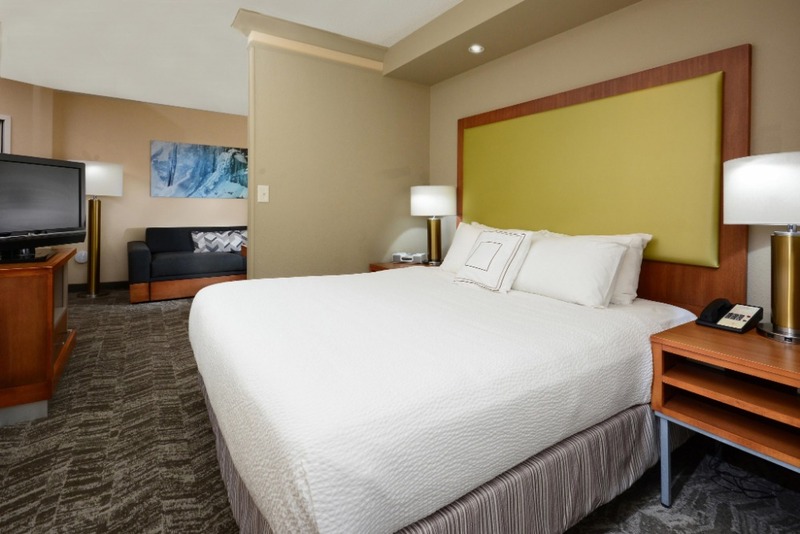 Fully renovated in 2017, this modern hotel is ideal for both business and leisure travel. 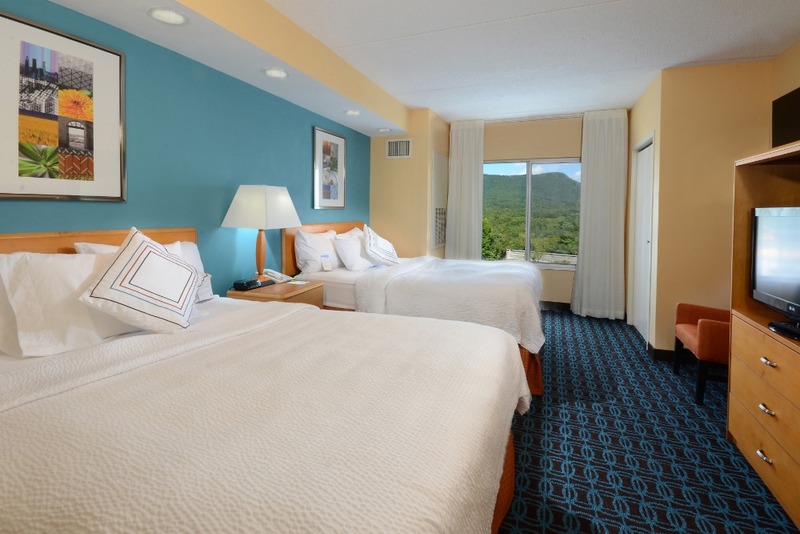 With views overlooking Tinker Mountain, this hotel allows for easy access to I-81, Carvins Cove Reservoir, and area businesses.